Hand crafted and fully lined willow picnic basket for 2 with unique built in 2 bottle carrier. 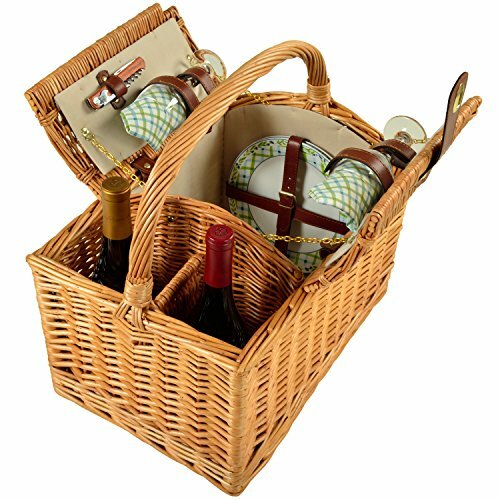 Includes a premium picnic set for two with ceramic plates, matching cotton napkins, glass wine glasses, stainless steel flatware, & corkscrew. Top carry handle and elegant details accents. Lifetime warranty.